Architecture has always been a form of art perfected by few, yet appreciated by many. Unlike playing an instrument or writing a novel, designing and building a livable structure requires more than just imagination, but also ingenuity and craftsmanship. 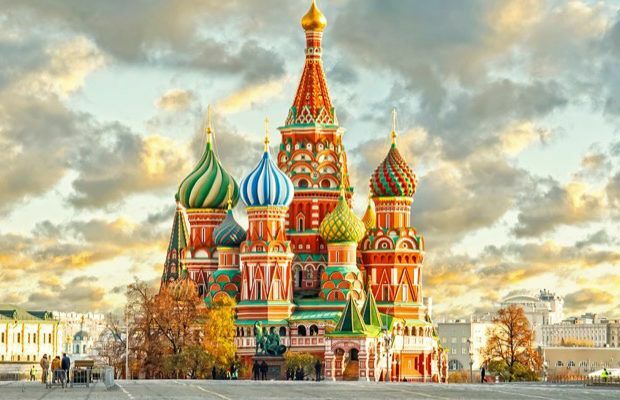 We decided to take a look at the most amazing buildings around the world and rank them based on just how beautiful they are. Have you had the pleasure of visiting any of these places? The mixture of French medieval and Renaissance architecture took 28 years to complete (though never fully) and originally served as a hunting lodge for King Francis I. Although the structure’s design was attributed to Domenico da Cortana, an Italian architect, it is rumored that Leonardo da Vinci was also involved. The four buildings that comprise this structure were built at different times between 1451 and 1905, with further renovations completed as recently as 1993. This “cathedral” is a bit of a fraud, however, as against the tradition of actual cathedrals, this one never served as the seat of a bishop. The former cathedral used to be called the Collegiate Church of St. Peter at Westminster until it lost cathedral (or abbey) status in 1556. For centuries Westminster Abbey has served as a wedding and burial place for the British monarchy. This unimaginably grandiose palace, originated in 1717, was once the summer getaway of Russia’s Catherine I. Since then additions have been built, and the shining statues on the structure’s roof were crafted using 100 kilograms of solid gold. Built in 1692, and also called the Tiger’s Nest, this monastery sits on a cliff near the Taktsang Senge Samdup cave, very near to where an old guru was rumored to have meditated for three years, three months, three days, and three hours during the 8th century. That guru introduced Buddhism to Bhutan, and the monastery was built in his honor. According to Christian tradition, this is the burial location of the first bishop of Rome, one of the twelve apostles of Jesus Christ, Saint Peter. Many do not know that St. Peter’s is neither the mother church of Catholicism nor the cathedral of the Diocese of Rome, but that’s probably because it is the biggest church in the world and the “most important” in Christendom. Because of its rumored ties directly to Jesus Christ, Many Popes have been interred there. This Roman Catholic church in France was dedicated to Saint Stephen and took 35 years (1195-1230) to complete. What we see today replaced and older structure from the 11th century, the remains of which can still be seen in the church’s crypt. Big Ben references both the tower and the giant clock within it. The original name of the tower was simply, the Clock Tower, until the name was changed to Elizabeth Tower in 2012. In 2009, Londoners celebrated the neo-gothic structure’s 150th anniversary. In 1920, the Vienna Opera House was renamed the Vienna State Opera. But the structure was originally built in 1869 as part of the city’s expansion plans earlier that decade. The Neo-Renaissance structure was designed by a well known Czech architect named Josef Hlávka. The oldest landmark in Russia’s St. Petersburg is also the location of the world’s tallest orthodox bell tower at 122 meters tall. The cathedral and adjacent fortress were built between 1712 and 1733, designed by Domenico Trezzini under the ruler of the Russian empire at the time, Peter the Great. The many phases of Hagia Sophia began when it was built in 537 AD. First it was a Greek Orthodox Christian cathedral, then during the Ottoman Empire was converted into a mosque, and now it’s a museum. The city of its location – formerly Lygos, Byzantium, Augusta Antonia, New Rome, Constantinople etc., currently Istanbul – similarly went through many changes. The church is Germany’s most-visited tourist attraction with more than 20,000 people walking in and out of its doors each day. The medieval construction began in 1248, stopped in 1473, and didn’t begin again until 1840. It was finally completed in 1880. Cologne Cathedral is the holding place of the relics of the Three Kings, also called the Three Wise Men, from the story of the birth of Jesus Christ. This wrought-iron lattice tower was given the name of its designer, Gustave Eiffel. Its construction was vilified by Parisian artists and the French intelligentsia of the time, but the building has since become synonymous with the city itself. Paris’s most-popular attraction was built in 1889 as the main entrance of the World’s Fair of the same year. Angkor Wat translates to “City of Temples” and was built as a Hindu temple in the 12th century. Its architecture combines temple-mountain and galleried temple styles, both of which originated from the architectural period of the Khmer Empire, which ruled between the 8th and 15th centuries CE. Most structures of the period were built similarly to this one, and all were made of stone. This temple was constructed in dedication to the Greek Goddess of Strategy. Athena was recognized as the patron of the people of Athens as well, and the temple built in her honor is considered the most important relic of Classical Greece. The original monument in honor of the Goddess was destroyed during the Persian invasion, and Parthenon was built in its place. This is another incomplete structure, similar to the Château de Chambord above. Construction began in 1882, but the work was slow going due to financial limitations; then the whole project was put on hold during the Spanish Civil War. Even though the project isn’t going to be completed for another eight or nine years, it remains one of the most beautiful structures in the world. Translated the name means “sacred heart,” which makes Sacré-Cœur the “Sacred Heart of Paris.” The building can be found at the tallest point of the city, on the butte Montmartre, and offers a great view of Paris. It also has deep political and cultural significance for the French, as it was built in remembrance of the loss of the Franco-Prussian War and the socialist Paris Commune of 1871. This cathedral and World Heritage Site is capped by the largest brick dome in the world. Its construction began in 1296 and took 140 years to complete. The complex in which the cathedral is built includes the Baptistery and Giotto’s Campanile. It remains the location of the Roman Catholic Archdiocese of Florence. The city was established by the Nabataeans as far back as 9,000 BC because of its proximity to the Incense trade route, which stretched from the Levant all the way through Arabia and India. At its peak there were around 20,000 people living in Petra, and the city remained independent under Roman rule until 106 AD. An earthquake 200 years later left the city all but abandoned and it remained hidden until it was rediscovered in 1812. The construction of Notre-Dame took about a century (1160 to 1260) and the name translates to “Our Lady of Paris.” It stands to most as the best example of French Gothic Architecture. During the French Revolution much of the building was destroyed. It wasn’t until the release of Victor Hugo’s “The Hunchback of Notre Dame” in 1831 that renovations began. Machu Picchu is perhaps the most popular site in reference to the Inca Empire. It was built in 1450 but abandoned 100 years later during the Spanish Conquest. The ancient site, comprised of a ritual stone called Intihuatana, the Room of the Three Windows, and the Temple of the Sun, was restored and name a World Heritage Site in the 1980s. This famous Parisian museum was first built in 1202 as a fortress, then under Charles V became a royal palace where most French rulers stayed when in the city. It remained a royal dwelling place until 1793, when most of the building was opened to the public as a museum. Seven years after the city of Budapest was established, the parliament of Hungary, called the Hungarian Diet, wanted a building constructed to represent the nation’s sovereignty. The building’s construction, which took 19 years to complete, required 100,000 people and included 40 million bricks, 500,000 precious stones, and 88 pounds of gold. The island’s feudal symbolism can be seen throughout its structures, from the fisherman and farmer’s houses just outside the gates (the lowest level of society) to the abbey and monastery at the very top (representing God). The castle withstood the Hundred Years’ War and King Louis XI eventually used the location as a prison. Today it’s a protected World Heritage Site with a population of about 50 people. It took almost six centuries to build the cathedral, which is the fourth largest church in the world. The central location of Duomo can be seen when looking at a map, as all of Milan’s roads either radiate from, or circle around, the structure itself. The original basilica was built in 355, but was severely damaged by fire in 1075. Construction of the Milan Cathedral Duomo as we know it today began in 1386. Louise XIV lived in the palace in 1682 and it remained the royal residence until the French Revolution in 1789. The palace is perhaps the most complex on this list, with its Hall of Mirrors, opera, royal apartments, its own park, and immense gardens including fountains, canals, and flower beds. The French Revolution resulted in the palace being ravaged, but it has since been restored and is the second most-visited tourist location in France. The King of Bavaria at the time, Ludwig II, paid for the commission of the castle out of his own personal fortune, but died in 1886 before it was completed. It was intended to be his home but has since been opened to the public. The architectural design falls into the category known as “castle romanticism.” King Ludwig based the idea on a trip he took to visit two other, similar castles that reminded him of he Middle Ages. Taj Mahal means “Crown of the Palaces,” so naturally, it tops the list. Its construction began in 1632 and took 21 years, and the total cost came out to 32 million rupees, which equals more than eight hundred million USD. The project was overseen by a board of architects led by Ustad Ahmad Lahauri. The grounds include the mausoleum, a mosque, guest house, and gardens partially surrounded by a crenelated wall.